/lingvosoft-dictionary.jsp Free online English Thesaurus. The purpose of the LingvoSoft Online English Thesaurus is to provide users with complete information on the meaning of a given word. This thesaurus has been created because linguistic barriers often lead to problems in arriving at a common understanding of terminology at the international level and across disciplines. Using the explanatory definitions contained within the LingvoSoft Online English Thesaurus you will be able to communicate more confidently and effectively. The LingvoSoft Online English Thesaurus contains more than 340,000 entries and cross-references to related words. Each thesaurus entry contains a brief definition giving the meanings and providing links to similar entries, phrases and idioms within the thesaurus. Using LingvoSoft Online English Thesaurus is easy as 1-2-3. 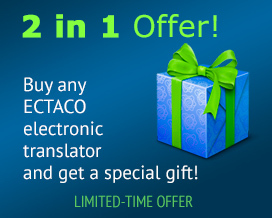 Simply enter the word, click the "Translate!" button and receive the full list of meanings and associated examples. Each result is also a hyperlink leading to additional, related meanings. Every entry of LingvoSoft Online English Thesaurus has a "Say!" button that lets you hear the pronunciation of the word.